The data we hold is done so under the government regulations detailed below. 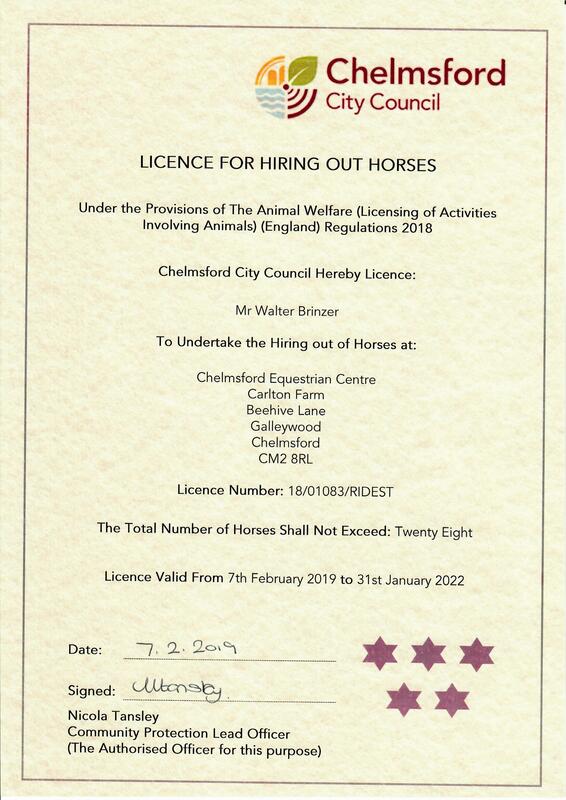 Although our main business is about providing horse riding lessons and livery services in Chelmsford, Essex, we know that clients using our equestrian services need to know how we use data we may gather about them. Chelmsford Equestrian Centre Limited (“We”) are committed to protecting and respecting your privacy. For the purpose of the Data Protection Act 1998 (the Act), the data controller is Chelmsford Equestrian Centre Limited of 44/54 Orsett Road, Grays, RM17 5ED (registration number 7841610). · Information that you provide by filling in forms on our site www.chelmsfordequestriancentre.co.uk (our site). This includes information provided at the time of registering to use our site, subscribing to our service or requesting further services. We may also ask you for information when you report a problem with our site.